I’ve seen these things for years – but like so many things, I only just realized that for Americans this concept might be kind of strange. 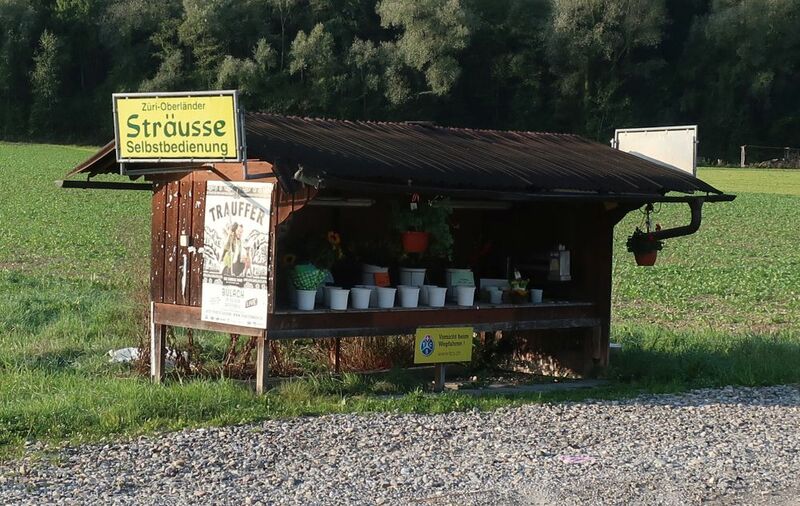 The countrysides of Germany and Switzerland are filled with little “self-service” stands owned by local farmers. You can stop anytime and get flowers, vegetables, and sometimes even eggs. There’s a little jar for you to put your money, and it run 100% according to the honor system.